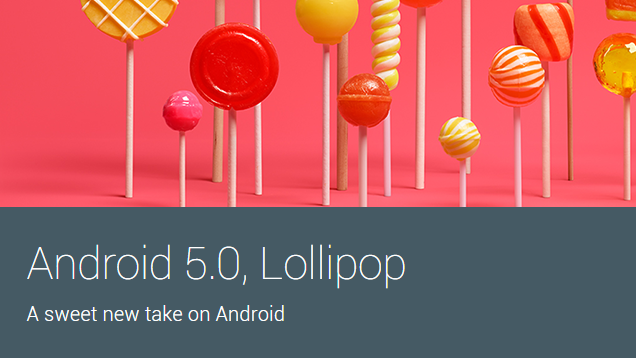 Google has announced the rollout of Android 5.0 Lollipop for its Nexus series of smartphones and tablets. Many Nexus users bought the devices because Google said these devices would be the first to get Android updates. While that may not have been the case with Android 5.0 Lollipop, but the Nexus series is still part of the first wave of devices to get a taste of the latest dessert. The update will show up soon and in the meantime you can refresh your memory by reading about the best new features in Android 5.0 Lollipop. For those who can't wait, there's a quicker way to get Android 5.0 Lollipop on Google Nexus 5, Google Nexus 7, and Google Nexus 10. You can flash the latest Android OS to your Nexus device using a factory image. Be warned though, do this at your own risk. In case something goes wrong, you don't want to lose all your data. Don't forget to back up all data on your Android smartphone. Google has a handy guide to flashing factory images to your Nexus device. This process is not without its share of problems, so we don't recommend this unless you know what you're doing here. Also, Google has not released the Android 5.0 Lollipop image for Nexus 4 yet, so looks like that wait will continue for a while. Android Police reports that the process gives some people a missing system.img error. Its post also describes a fix for the error, so you can head to the site and follow the instructions if you get the same error. However, this requires you to manually flash all the files in the update, and has also led to several people reporting errors such as missing back buttons and phone memory being downgraded to 16GB, with a complete system wipe being the only way to recover from the problems, so we would strongly recommend waiting for the OTA update if you get the system.img error. As you will see from the nature of the instructions, this is a slightly technical process. So while you should be able to update your Android device to Lollipop by following these steps, for most users our recommendation is to just wait for the OTA update to pop up on their phones. Here's how to manually download Android 5.0 Lollipop and force install it on your Google Nexus 5, Nexus 7, or Nexus 10. Download and install the latest Android SDK on your Windows computer. This installs two programs, ADB, and Fastboot, which can be accessed through the command terminal on your PC, as a part of the software development kit. Execute flash-all.bat, which was a part of the unzipped image file. This script installs the necessary bootloader, baseband firmware(s), and operating system. For this to work, you need to have added the folder where ADB and Fastboot are installed to the system's path as described in step 2. That's how you can install Android 5.0 Lollipop on your Nexus device. We still recommend that you just wait a while until the OTA update arrives on your device.